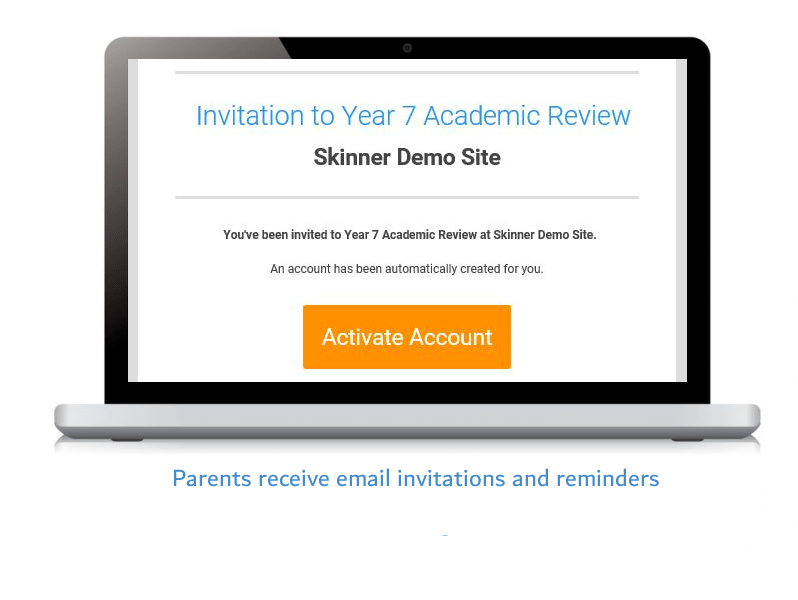 Remove the need for paper appointment sheets with an online system for teachers, students and parents. 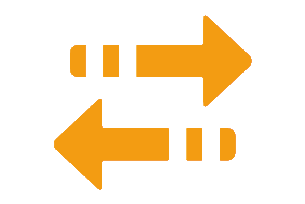 We integrate with MIS platforms to ensure locations, teacher groups, parent and guardian information is up-to-date. 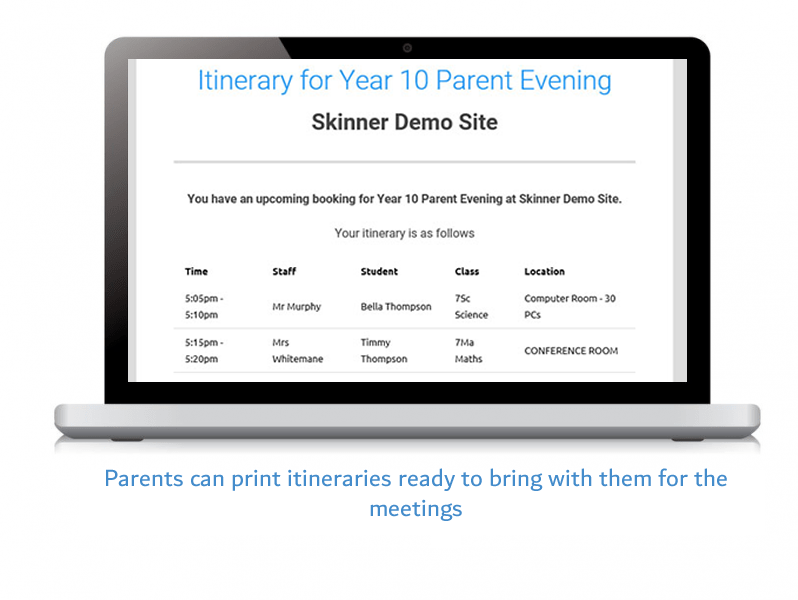 Easy to use online booking experience so parents can manage their attendance, print itineraries, and receive email reminders. Parents who have children at different schools can subscribe to each school using a single login. Great for MATs, districts and tiered schools. 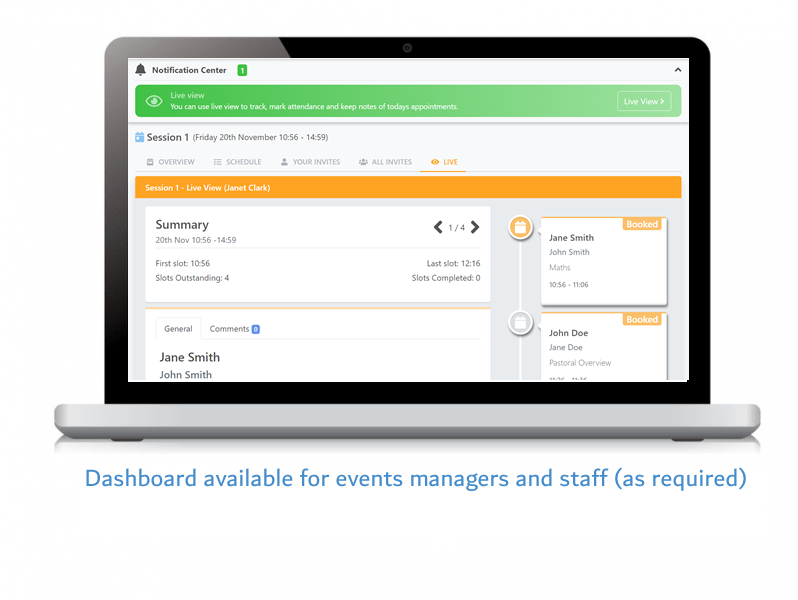 You can include SENco or other staff (such as headteachers) to your events. 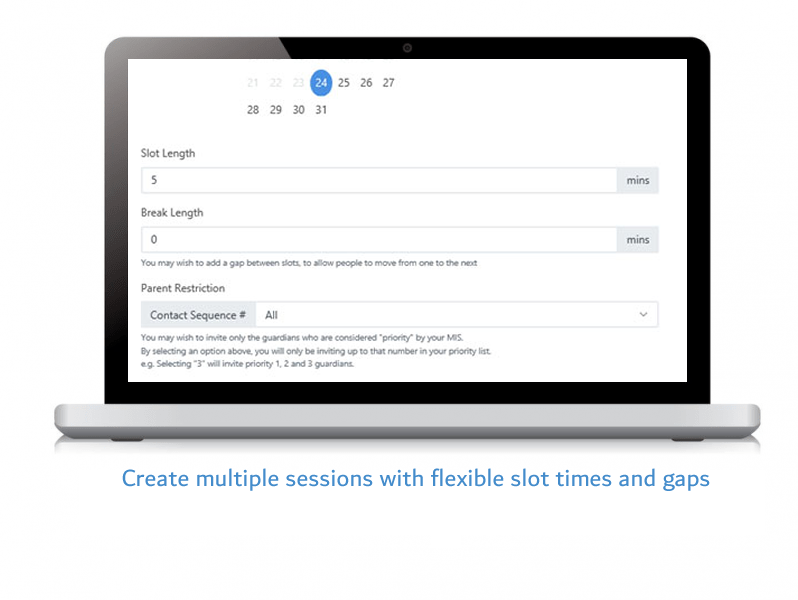 Create flexible meeting slots with gaps to allow parents to move from one meeting to the next. Using the Sync tool we ensure your data is upto date. Choose from a priority which parents/guardians should be invited to book appointments. Teachers or Event administrators can book and print appointment for students. Teachers with not sufficient timeslots can re-assign appointments to other staff/teachers. Working with ‘user defined groups’, you can create custom classes and included meeting with staff that don’t have classes (SIMS feature). Parents can book their appointments on their computer, tablet, or smart phone. Guardian's contact information from your MIS is used to send automatic invitations by email, with automatic account creation and one-click activation. 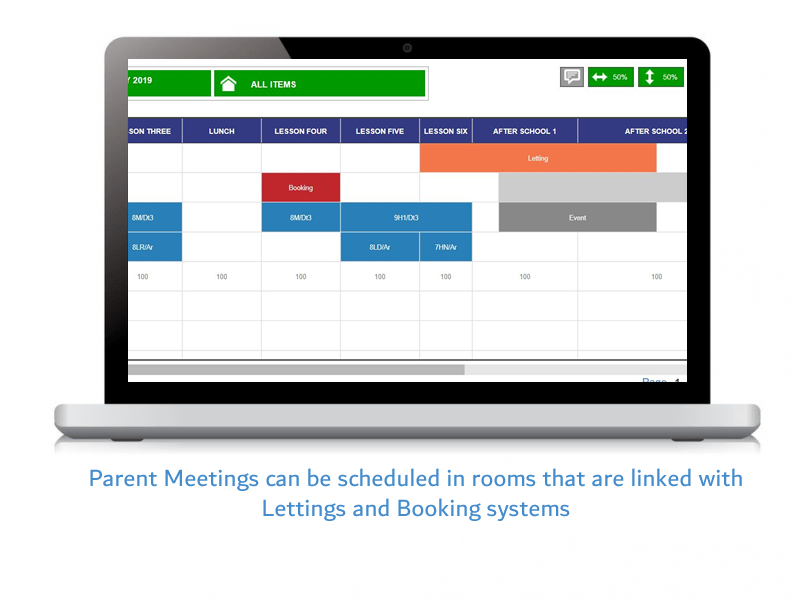 Choose a location(s) for each teacher and book the room in our ‘Bookings System’. When enabled your teachers can view their appointments, book on behalf of students, and print itineraries. Events - Coming Soon in 2019!! !